The trucking industry is the driving force behind America’s supply and demand. Without truck drivers every aspect of American society would grind to halt due to lack of supplies. The food service industry, auto industry, and even the energy sector depend on trucks to provide their services to society. This leads to the question of where the trucking industry came from. The idea of moving freight for a price has been around for thousands of years. From caravans of camels moving slaves, perfumes, and other goods across the deserts of Arabia, to merchant vessels carrying tea and silk across the sea, manufacturers have employed outside companies and individuals to haul freight for a long time. Freight hauling in the US was accomplished via horse and mule drawn wagons during the first 300 years of civilization on the continent. Mule teams that could reach as many as 40 mules were used to haul ore, such as iron, coal, and gold out of the mines and to refineries where they could be processed. Furniture, luggage, and dry goods were often moved on stage coaches and covered wagons during the 1800s. Covered wagons were the single major source of freight transportation during the days of the wagon trains heading west. 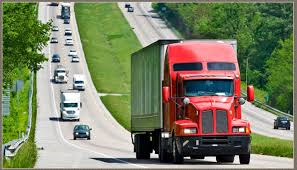 The trucking industry as we know it today first became popular in the last century, after the car was developed. Early trucks were often flatbed vehicles which incorporated tarps, straps, and chains to protect the cargo. Later, when the idea of the tractor trailer was brought into development, more freight could be rapidly moved from one location to another than ever before. People like Al Schneider saw that the trucking industry would become a major asset to the United States, and began investing in it. Schneider sold his home and moved his entire family into their first truck in 1935, marking the start of what is now the largest trucking company in America. It is almost impossible to travel more than a few miles on the Interstate in the US without seeing one of Schneider’s bright orange trucks. The 1960s, ‘70s, and ‘80s were the most colorful decades of the trucking industry, with the advent of “outlaw” truckers. These drivers were noted for keeping multiple active logbooks, holding licenses in several states at once, and driving for days at a time nonstop in order to get their load delivered on time. Many of the stories passed down by these drivers have turned into urban legends of “supertruckers” who could do almost anything short of shooting lightning bolts from their smokestacks to eliminate the numerous state troopers who allegedly pursued them on every load. The trucker’s union came into being in the 1930s and with it came more protection for the drivers from dishonest companies and individuals who treated them badly. Jimmy Hoffa was the one time president of the trucker’s union, until he was arrested and imprisoned on a 13 year sentence for his using union dues to invest in mob bosses’ criminal empires. When he was released from prison less than 5 years later, Hoffa attempted to return to his position as union president. However, he never managed to hold the office, as he disappeared shortly thereafter. Some people believe that the federal government had him killed or placed in protective custody. Others believe that it was leaders within the union who had Hoffa killed to prevent losing the powerful positions they had obtained during his imprisonment. His body was never found and the mystery surrounding his disappearance has led to his becoming somewhat of an urban legend as well. The modern era of truck driving is not marked by the glamour and mystery of previous decades. The trucking industry does have its attractive points, such as the freedom of the open road, the ability to “trick out” your truck with custom parts, and a decent paycheck. However, most of the outlaw truckers have either died out, retired, or decided it was best to drive legally in light of new rules and regulations. With the deregulation of the trucking industry in the early 1990s came the advent of the CDL, and laws that required CDL holders to maintain only one driver’s license at a time. While this did not prevent cheating on log books, it did reduce the number of drivers who had a suspended license in one state, while holding a valid license in another. Another feature of modern trucking is the computer log. This little device is in use in most of the larger companies in America, and it is believed that all trucks will be required to have them before 2020. These devices prevent drivers from driving beyond the legal limits the law allows for, as well as helping keep track of every aspect of the driver’s hours of service. While many gear grinders from the “good ole’ days” refuse to use these computer logs on their rigs, saying it is something akin to “big brother” spying on drivers, it might just be a good thing. Preventing drivers from overextending their hours of service by altering log books is a big step in safety. While these logs have their drawbacks, they also have their benefits and those should be carefully considered. Without trucks, America would cease to operate. Even our government depends on the trucking industry to supply our troops and law enforcement officials. Because of this, trucking will always be a very stable industry. With a history that is as rich as that of our great nation, trucking is more than a vocation – it is a way of life. Which Truck Driving Jobs Are The Best? What Factors Should You Consider before Buying Truck Scales?